Nestled on a large lot, this rehabbed home is sure to impress! The covered front porch welcomes you into the open living room boasting beautifully refinished hardwood floors and repainted walls. Just off the living room, the kitchen boasts vinyl plank flooring, white wood cabinetry, stainless appliances, and beautiful new lighting. Unwind in one of the 3 updated bedrooms featuring newly refinished floors, freshly painted walls, and updated lighting. The light and bright updated bathroom with newer vanity and lighting completes the main level. Need more space? The finished walkout lower level features a bonus room and large rec room boasting fresh paint, newer carpet, lighting, and a remodeled bathroom. Enjoy relaxing outside on the updated deck overlooking the large fenced yard. 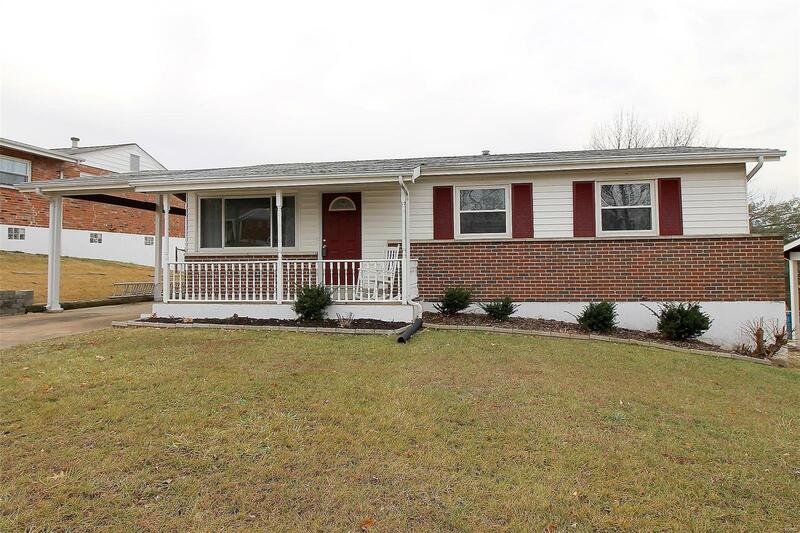 Additional features: Updated windows & doors, vinyl siding, 6 panel doors, updated electrical panel, and a home warranty for buyers peace of mind!